Forget the past, look into the future ! 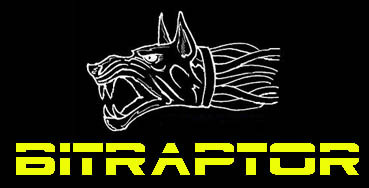 BitRaptor is a technical / design studio engaged in the development of electronic and mechanical solutions to high technological level. In particular, we are patents holders of inventions related to variable mechanical transmissions continues IVT and CVT. Edyson IVT is a specific type of CVT (the infinitely variable transmission), in which the range of ratios of output shaft speed to input shaft speed includes a zero ratio that can be continuously approached from a defined "higher" ratio. A zero output speed (low gear) with a finite input speed implies an infinite input-to-output speed ratio, which can be continuously approached from a given finite input value with an IVT. Low gears are a reference to low ratios of output speed to input speed. This low ratio is taken to the extreme with IVTs, resulting in a "neutral", or non-driving "low" gear limit, in which the output speed is zero. Because continuously variable transmissions are built with fewer parts compared to conventional transmissions, they are less expensive to manufacture. This savings is passed along to consumers in vehicle’s selling price and improving a vehicle’s fuel efficiency. Edyson IVT is a "continuous variator with infinite ratio and neutral'" using only toothed gears (pinions) , which can be used on any transmission (esemoio: gasoline, diesel, natural gas), wind turbines, or steam, human power bicycles , electric motors, as well as a large number of industrial or agricultural applications, replacing the current transmissions. The Edyson IVT/CVT can transfer substantial torque, because their static friction actually increases relative to torque throughput, so slippage is impossible in properly designed systems. Efficiency is generally high, because most of the dynamic friction is caused by very slight transitional clutch speed changes. The IVTs can offer better efficiency when compared to other CVTs as in the preferred range of operation because most of the power flows through internal gear system. Torque transmission capability can also be increased. There's also possibility to stage power splits for further increase in efficiency, torque transmission capability and better maintenance of efficiency over a wide gear ratio range.